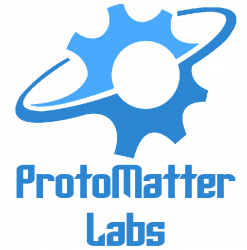 ProtoMatter Labs is a product development firm comprised of a small network of super-geeks. We invent, create and solve our way through interesting challenges with a business case behind them. In our free time, we have our own internal product road-map we work on, with general theme around mobile & desktop app development. We have flexible, professional engineering skills. We are well-equipped with skills ranging from Web Application development through to aerospace-grade hardware systems engineering and integration.